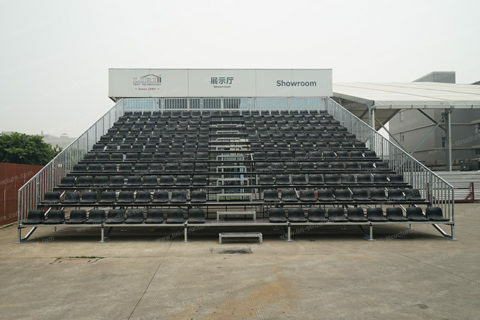 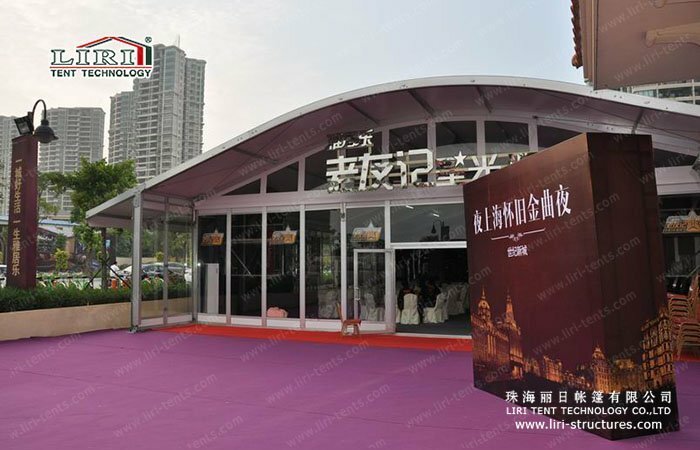 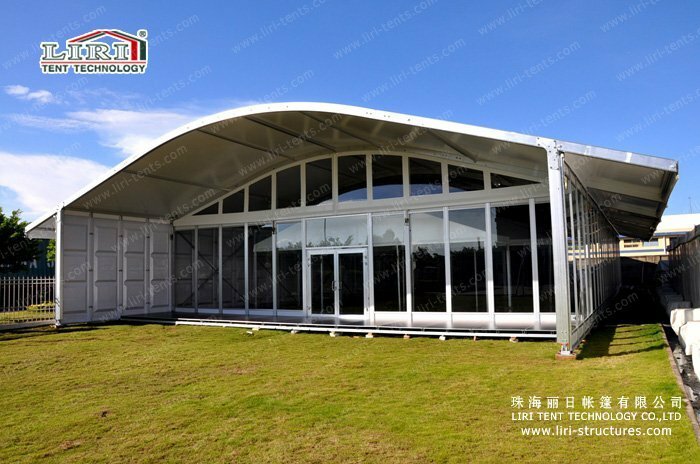 The tent is available in HDT 4X3m and HDT 4x5m. 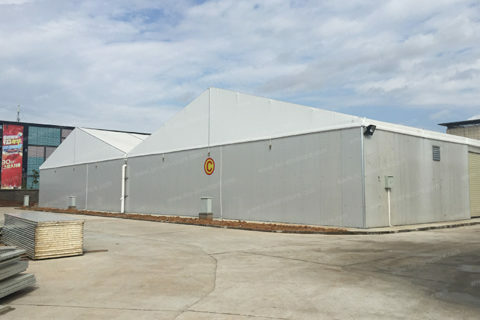 HDT 4x3m: eave height is 2.6m and ridge height is 3.84m. 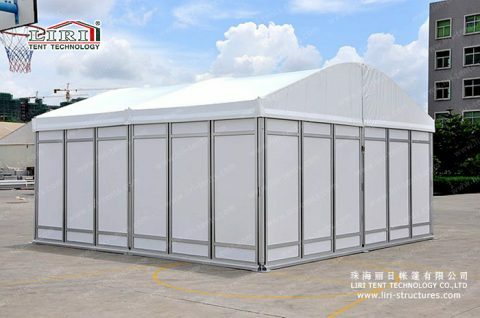 The length of the tent can be added or reduced by every 3m. 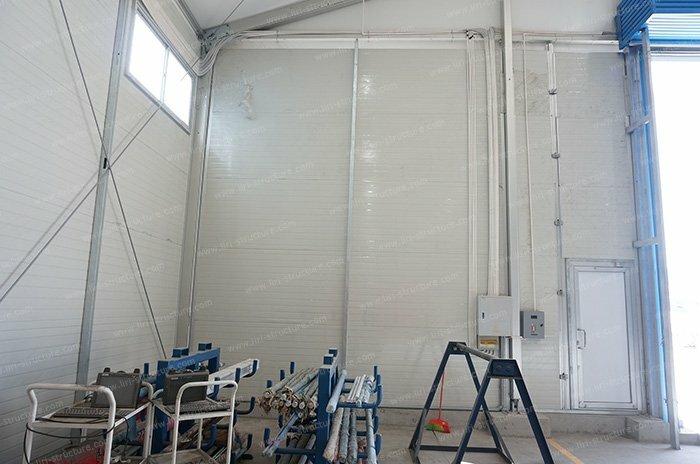 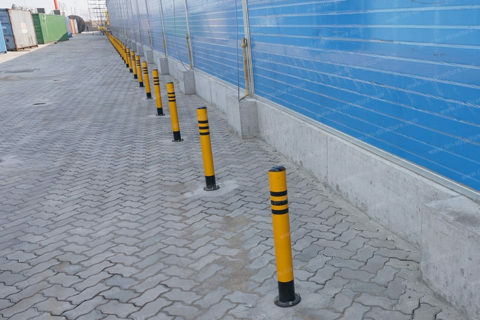 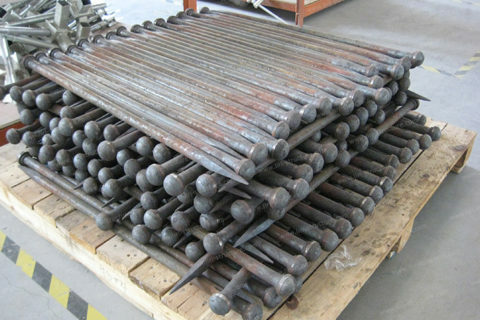 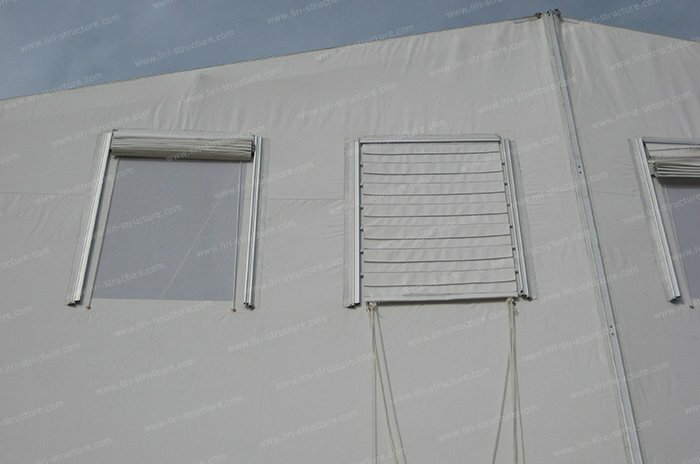 The aluminum main profile is 100x48x3mm. 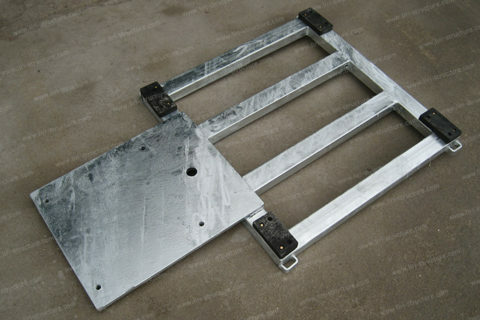 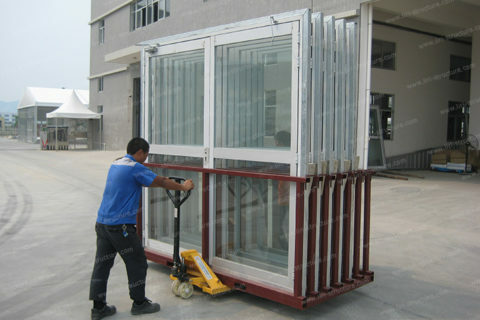 The frame uses the hard-pressed extruded Aluminum Alloy 6061/T6 (13HW). 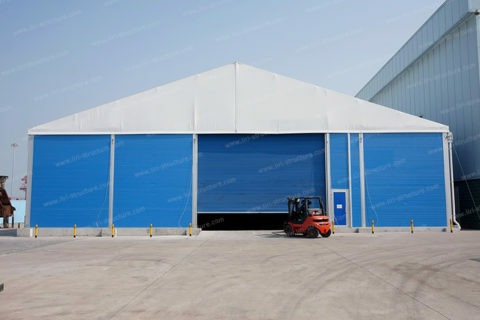 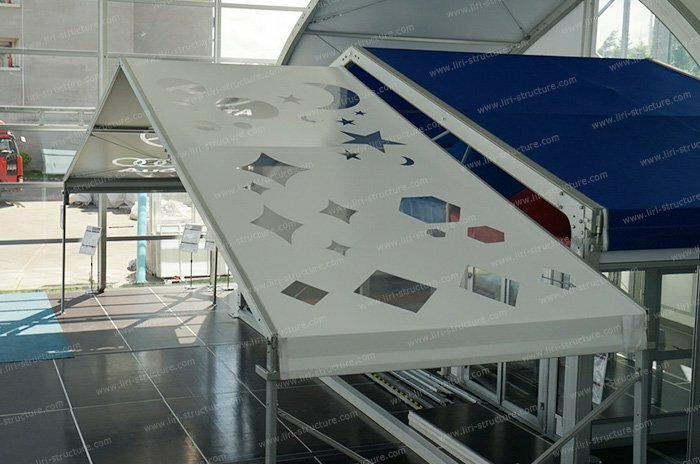 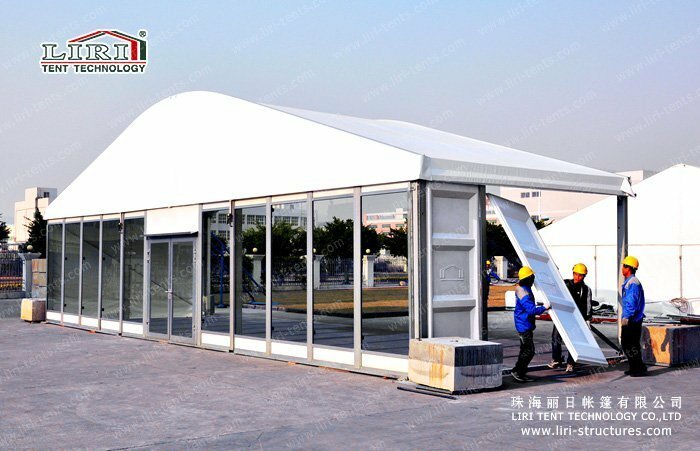 Roof covers and sidewalls use polyester textile with double PVC layer, waterproof, UV resistant according to DIN4102 B1, M2. 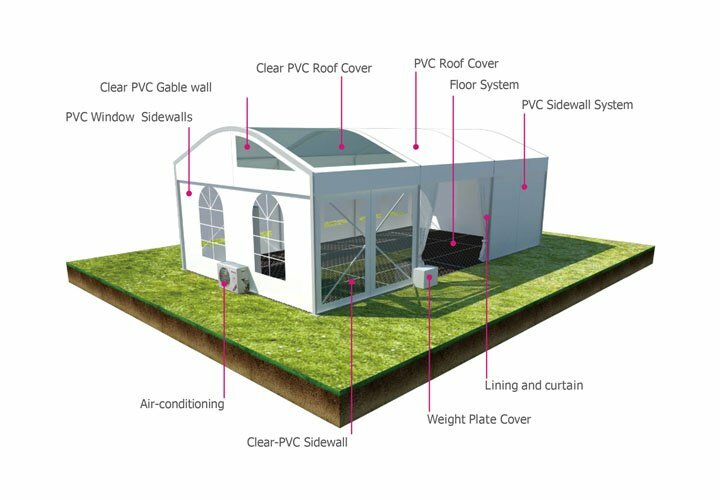 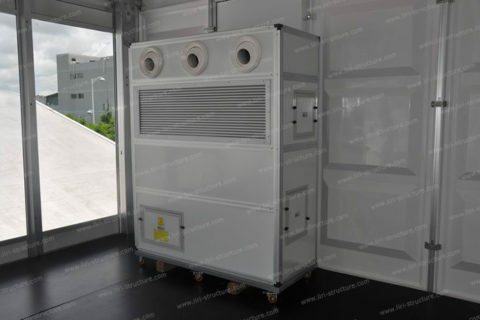 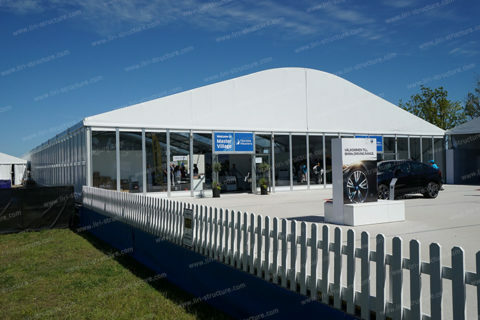 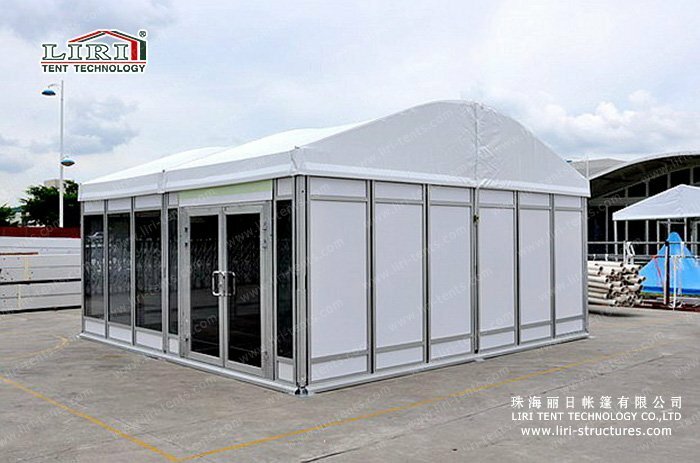 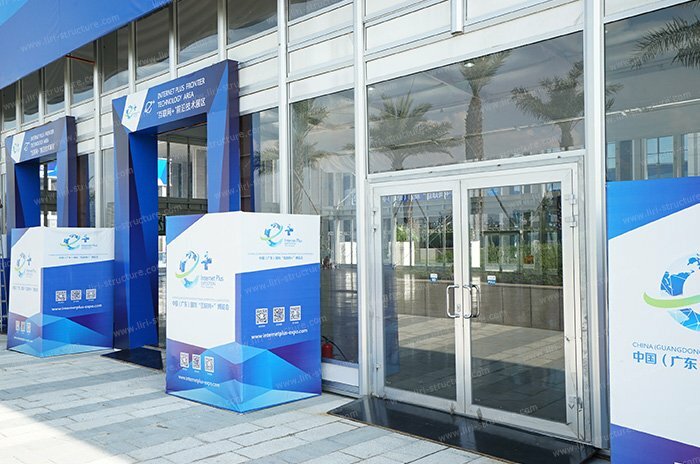 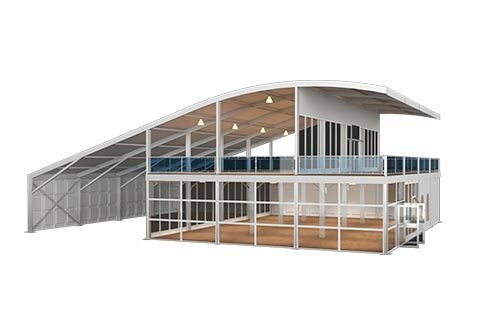 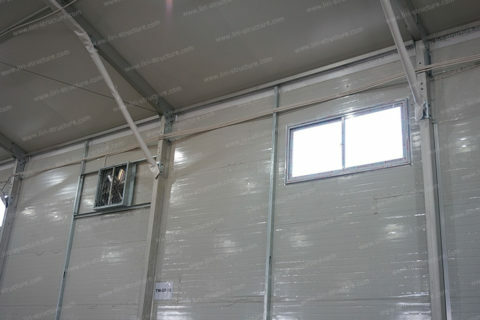 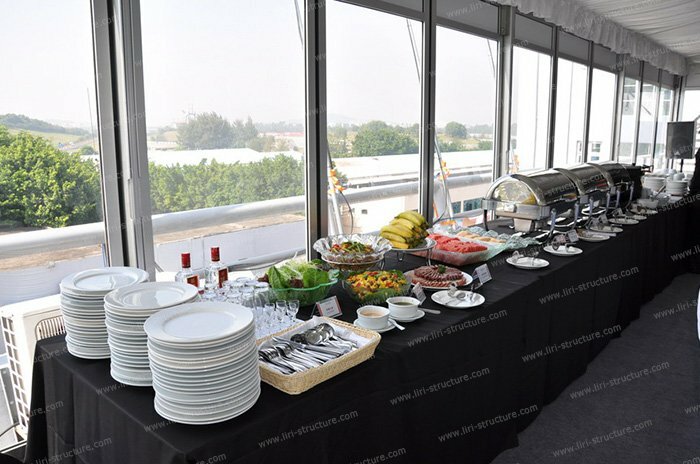 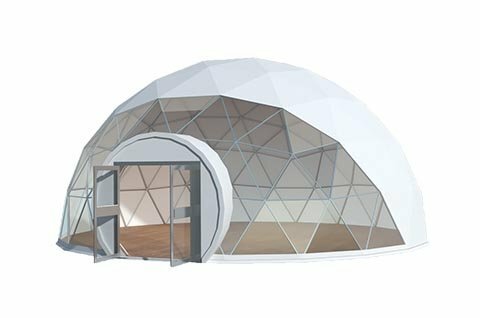 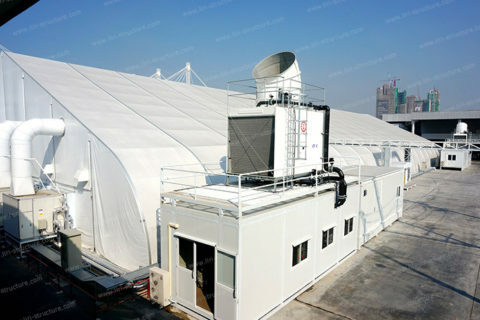 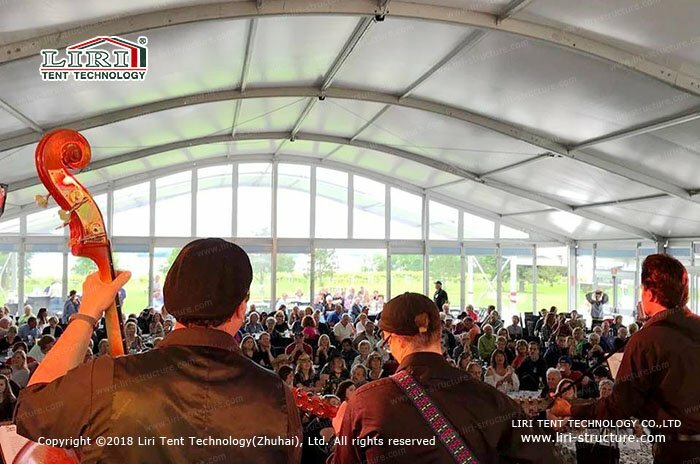 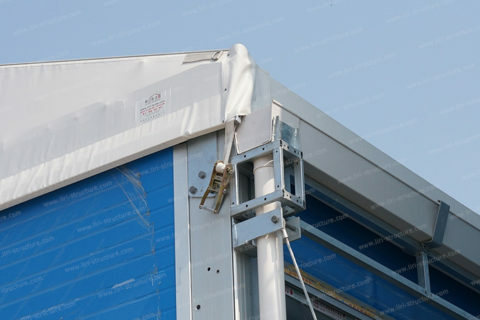 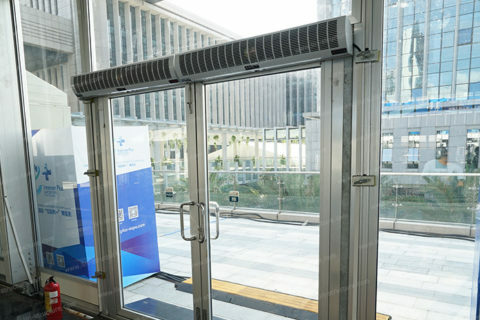 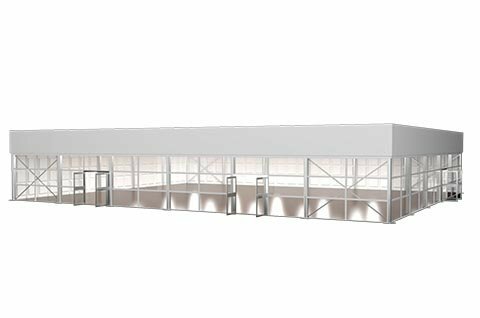 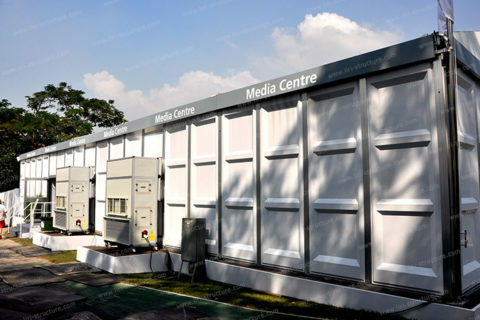 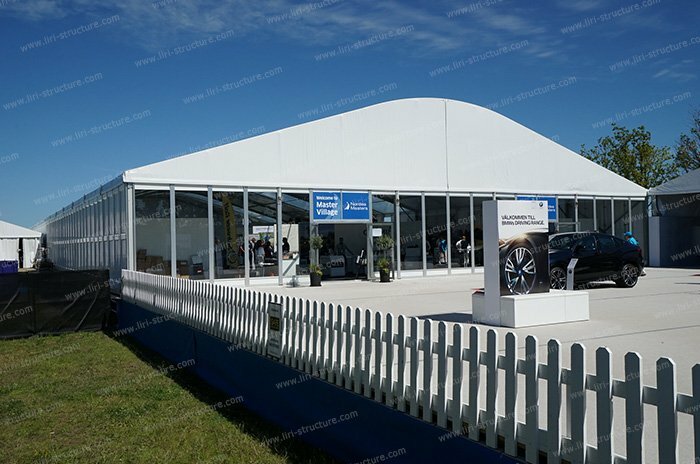 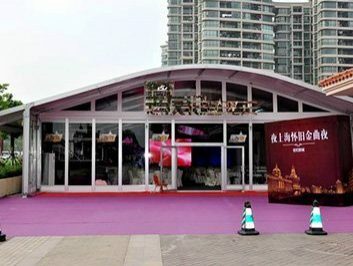 The available accessories for tent include the PVC window walls, clear PVC roof cover, clear PVC walls, rain gutter, ground anchors, and weight plates. 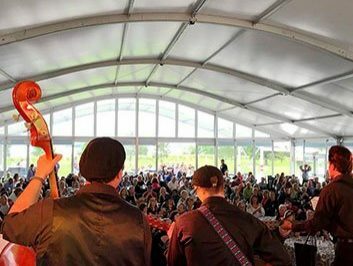 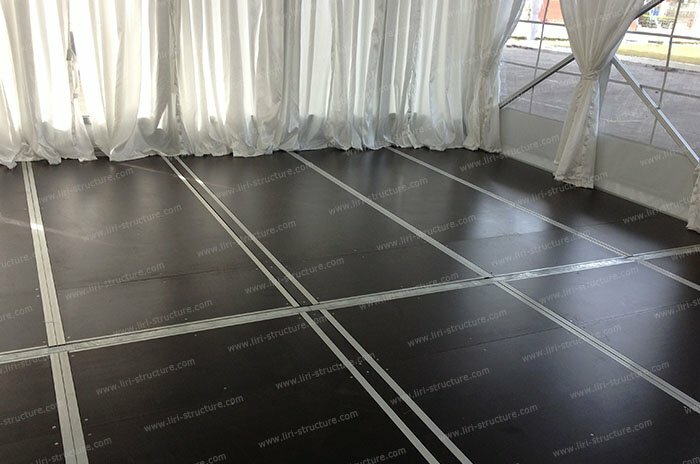 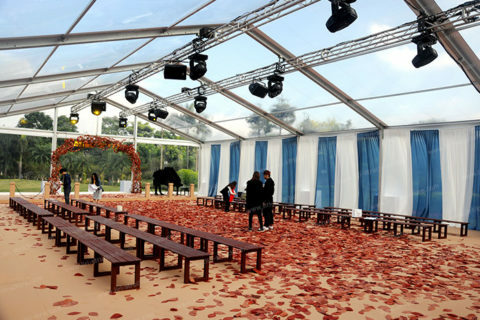 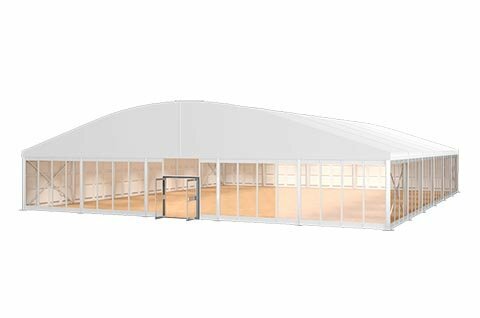 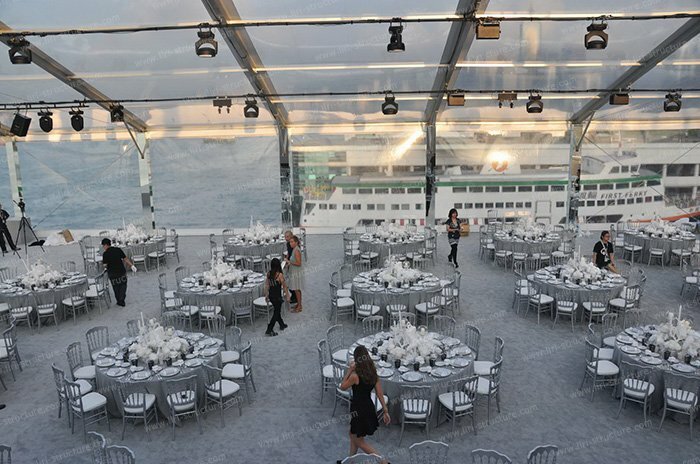 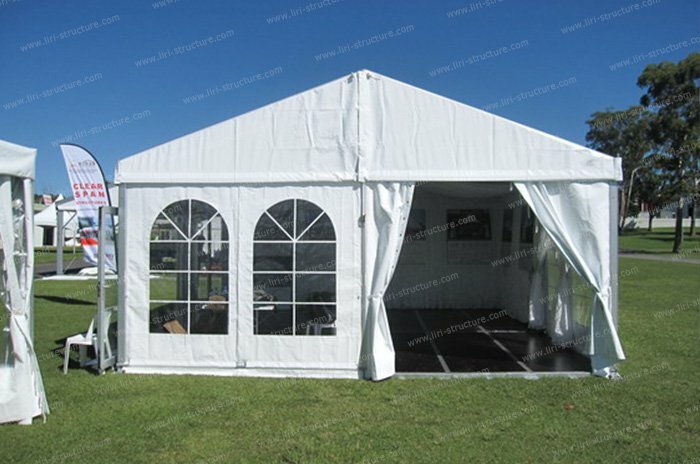 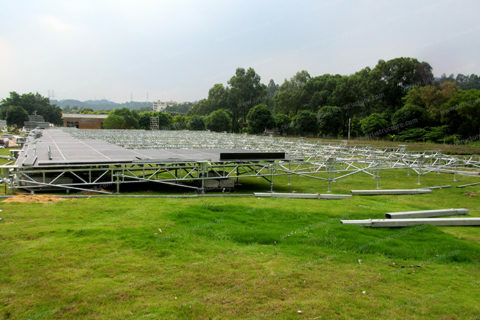 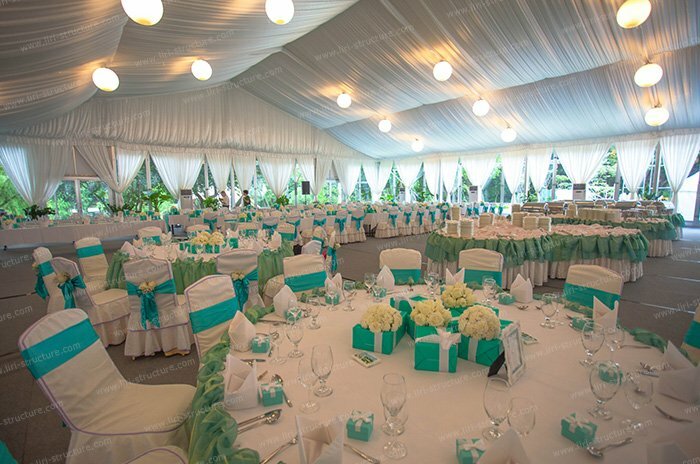 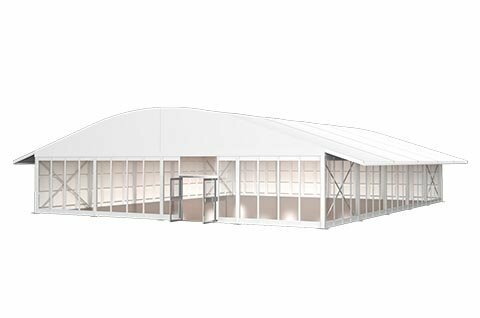 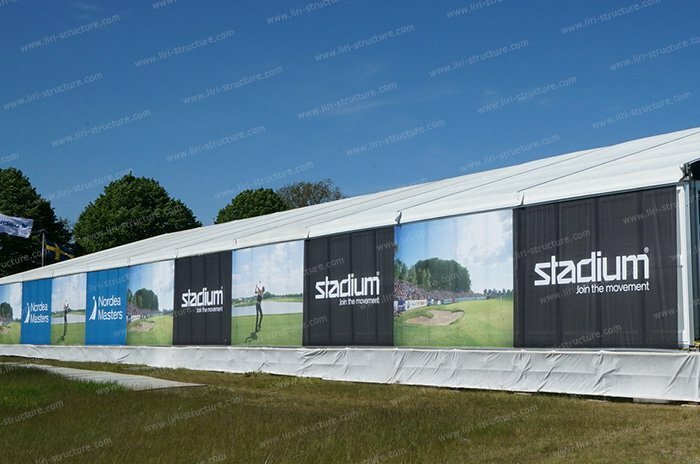 Characteristics of the tent: lightweight, easy for moving, suitable for the party marquee tent. The tent structure is safe and strong and can resist the wind as high as 80 km/hr.